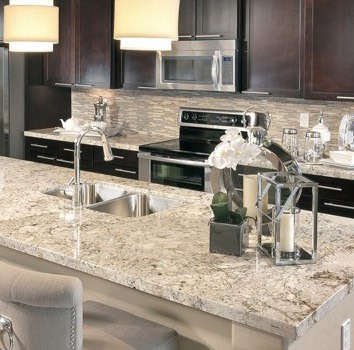 Granite & quartz are both very commonly used. Learn more about the differences between the two and the specific properties that make them unique. Taking care of your countertops is essential when you want them to stand the test of time. Take a look at this convenient guide to learn about the most important aspects of countertop care and maintenance. Essentially, granite is a magmatic stone that is formed from a mixture of quartz, feldspar, and mica. Once it is cut this stone can be cut and polished. It is popularly used for ornamentation. Granite is a stone that can serve many different purposes. It’s incredibly hard and is even resistant to stains. This makes it a very popular option for use in kitchen counters, bathrooms, fireplaces, various forms of furniture, bath podiums, shower bases, and much more. It can be used both inside and outside without worry, as the sun isn’t able to change its appearance. There are many different attributes that are unique to granite. Due to the nature of granite, it’s normal to encounter different visual imperfections from time to time. Certain types of granite can even have colour variations with different sized dark spots, pitted surfaces, and even micro-crackers. You shouldn’t be too concerned about this because these marks are all natural. Depending on the type of granite you’re looking at, these attributes can be easily visible or virtually unnoticeable. Oftentimes it depends on the lighting. Regardless, these do not impact the quality of the granite or how sturdy and usable it is. Connoisseurs of granite actually appreciate these different aspects of the stone and see it as a mark of its beauty. 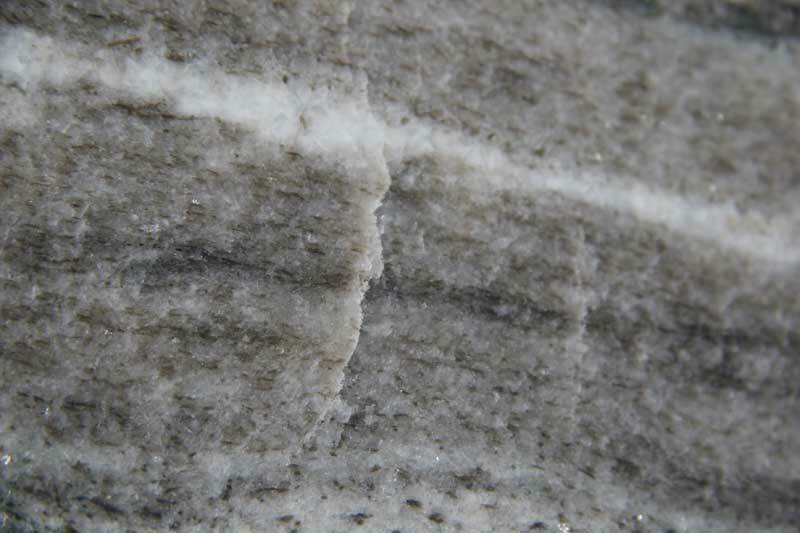 Here are some examples of inclusions or marks on some granites. 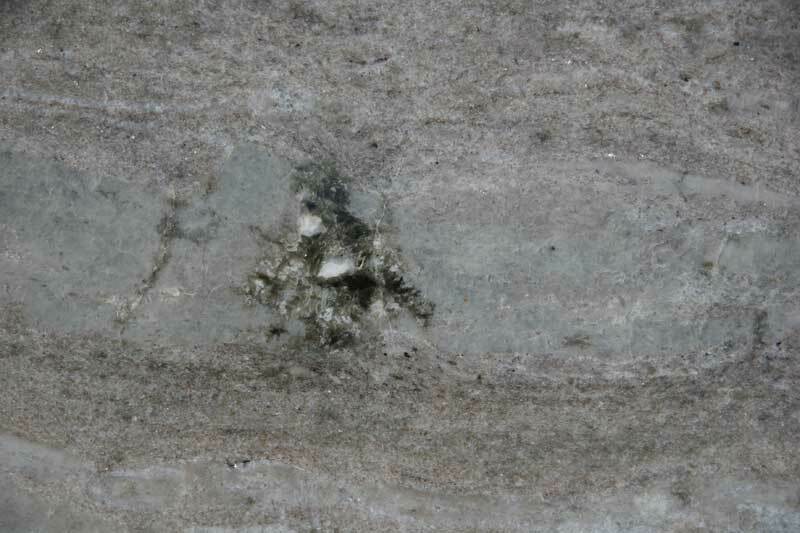 How can you differentiate granite from a synthetic stone such as quartz? The most basic answer to that question is the composition of the stone. A quartz slice will contain more than 90% natural crystal. Polymer-based resin and colour pigments are added to this. Overall, the attributes of quartz are quite similar to granite in regards to its hardness and durability. So what makes quartz such a good choice? There are various reasons that people choose to work with it. A lot of it comes down to personal taste. Many quartz manufacturers tout the benefit of having more surfaces with a very fine grain, which allows for greater uniformity. Also, it’s available in a large variety of colours which is always nice. Quartz is popularly used for many different purposes. It’s commonly used for manufacturing counters, bathing podiums, vanities, fireplace surrounds, furnishings, and much more. Quartz is much better suited to being used for interior purposes, so outdoor use is not recommended. Processing and installing different quartz products are our specialty. Whether it’s Cambria, Caesarstone, Hanstone, Samsung, Silestone, or, we will ensure you have the best variety to choose from. The thickness of the slabs is 30mm (1 1/4 “) with a tolerance of ± 1mm. Slabs average 54 “x 120” (regular size) and 63 “x 120” (or larger, jumbo format). Currently, the jumbo format is only available from some manufacturers and in some cases for a limited number of colours only. 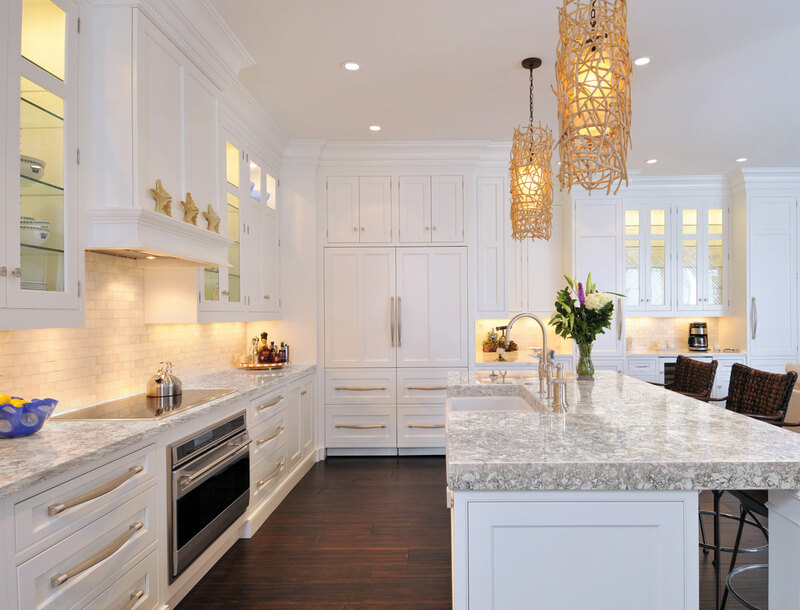 When it comes time to pick your new quartz or granite countertops, many people don’t even know there are options or how those options affect their countertops. In fact, many people often buy thinner, lower-quality material without realizing what they are buying. 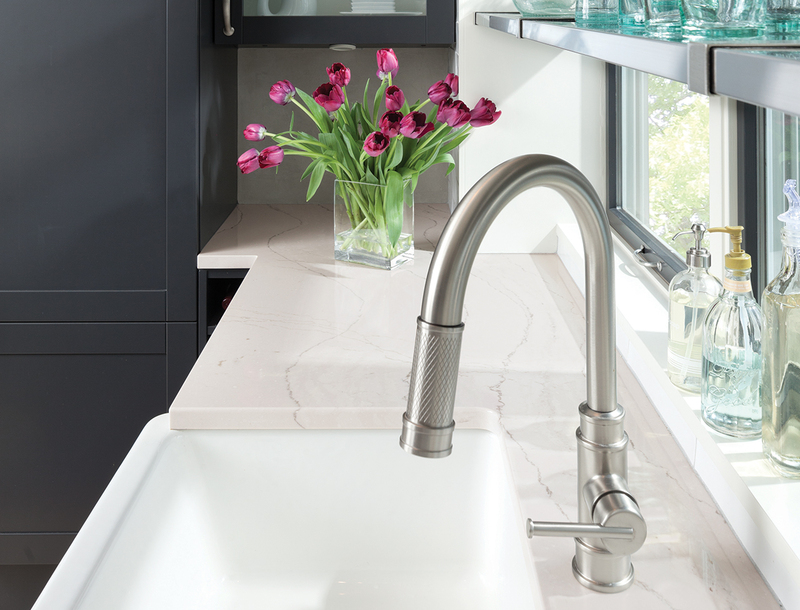 Read on to learn how to choose the thickness of quartz or granite for your countertop project. 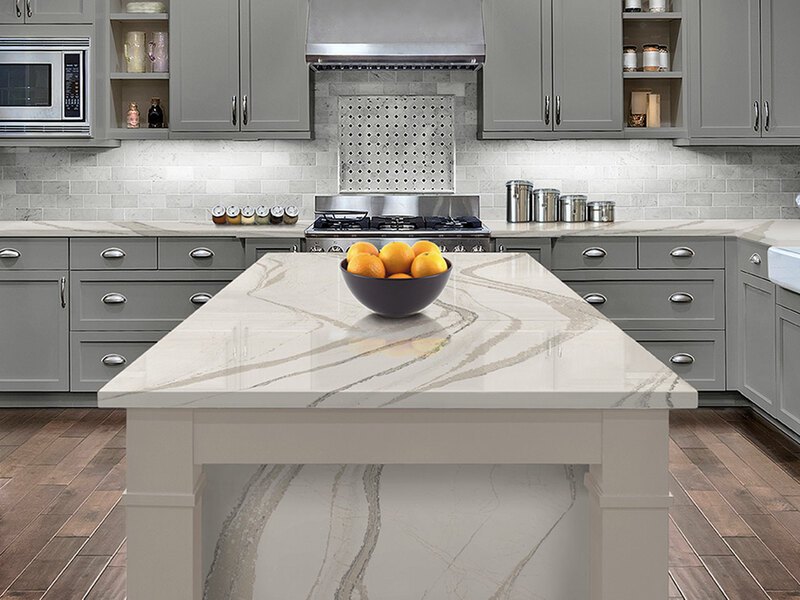 Generally speaking, there are 3 thicknesses of quartz slabs used for countertop fabrication. 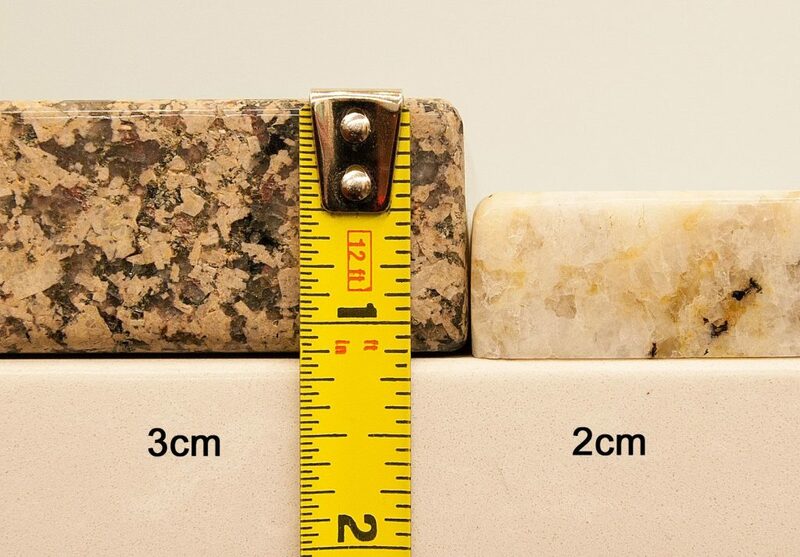 Countertop thickness is measured in centimetres. The standard thicknesses are 1CM (some manufacturers actually use 1.2CM), 2CM, and 3CM. 1 CM is equal to 3/8″, 2CM is equal to ¾”, and 3CM is equal to 1 ¼”. 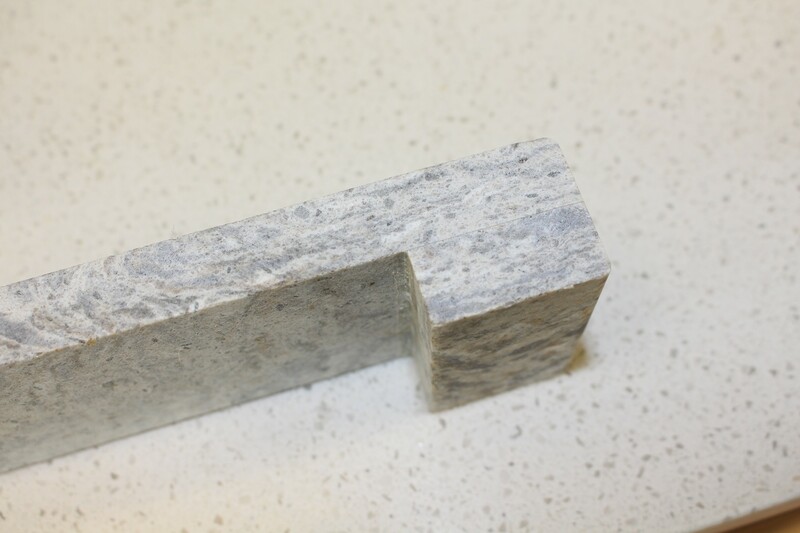 Granite fabrication is typically only available from 2CM or 3CM. 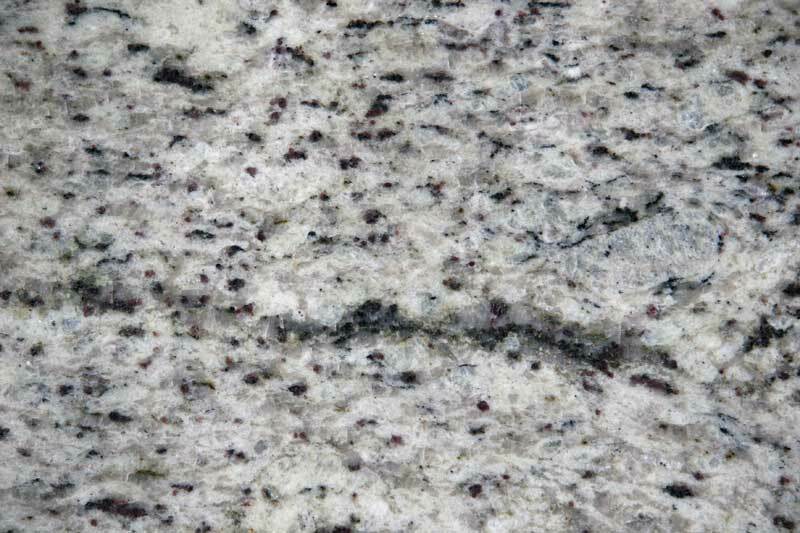 Most granite is too fragile for 1CM. Each thickness has its own application and it is important to know these differences when shopping for new countertops. The thinnest available option, 1CM (which for the purpose of this article includes 1.2CM) is typically used 2 applications. The first and most popular way 1CM quartz countertops are used is in prefabricated countertops that have a laminated edge. Known as “prefab” in the industry, these slabs typically come from an overseas factory with the edges pre-laminated and pre-polished. A laminated edge is made by taking a small strip of the same material and gluing it to the bottom of the slab, effectively making it look double the thickness. This can be done with any thickness of a material. Most prefab granite countertops are a 2CM body but have a 4CM laminated edge. Prefab quartz countertops can be a 1CM body with a 2CM edge, 1.2 CM body with a 2.4 CM edge, or a 2CM body with a 4CM edge. Two centimetres is also found in prefab, laminated edge applications but 2CM quartz without a laminated edge is becoming a popular look among people with a modern, contemporary aesthetic. Because quartz is stronger and requires less support than granite, its thinner profile can be used to create a clean, minimalist look. While 2CM granite would require plywood support on top of the cabinets, which leads to the necessity of a laminated edge to hide the plywood, 2CM quartz countertops do not require plywood support unless spanning more than 24”, and therefore can often be installed with significantly less support than 2CM granite. Which Thickness is Right for Your Countertops?  We at Kitchen’s by T.R. Design sell 3CM in almost all cases and on occasion 4CM on request. In the vast majority of situations, 3CM is the best choice. It provides the most flexibility for design and typically has the largest selection of colours and designs. With 3CM there is no need for a built up laminated edge to hide plywood underlayment and it provides the most strength of any quartz thickness. If you’re not sure which countertop thickness is right for you, the answer is 3CM. 3CM is the standard for custom cut countertops and provides the highest strength and durability of all the countertop options. Remember when comparing quotes to make sure you are comparing the correct thickness as well as all extra charges such as templating, tear out, disposal, installation, and delivery charges. Taking care of your counters with proper countertop care and maintenance will ensure your investment is protected for a very long time. 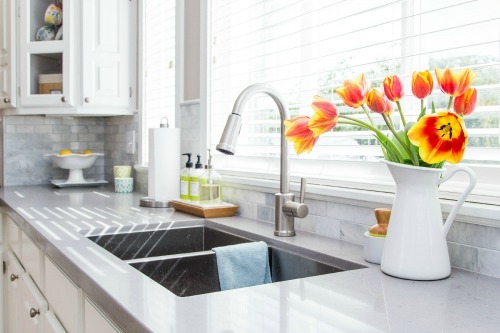 Here are the most popular countertop types and some easy ways to maintain them. Granite is a 100% natural stone material that is porous. 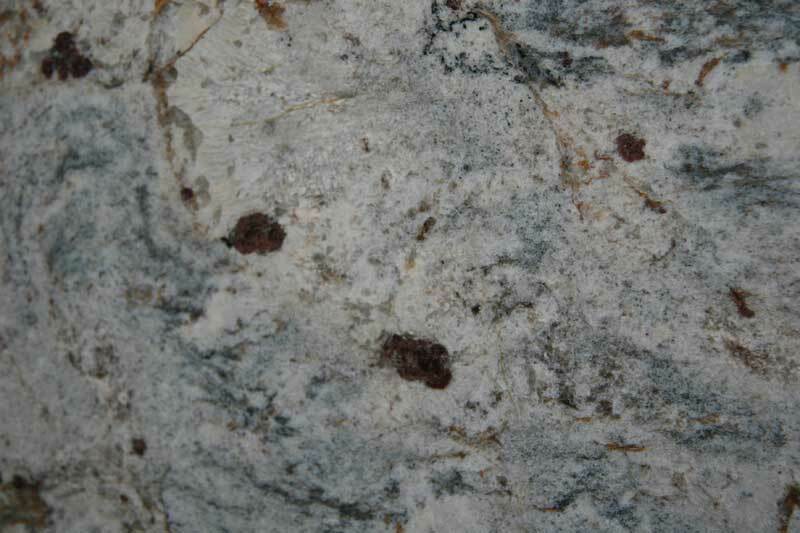 Granite is an igneous rock that contains at least 20% quartz by volume, but also some mica and feldspar. It’s mined from around the world, including quarries in India, Brazil, Norway, Italy, and China. The largest granite quarry in the United States is located near Barre, Vermont. For daily cleaning, simply use a clean cloth with warm soap and water. HEAT: Granite is heat resistant, but not heat proof. It is recommended to always use a heat pad or trivet for warm/hot items, electric frying pans, crock pots or roaster ovens. CUTTING: Granite is very scratch resistant, but it is always recommended to use a cutting board. Your knives will also thank you. ACIDS AND ABRASIVES: Prolonged exposure to anything acidic such as citrus juice, vinegar, soda, nail polish or soaps should be avoided. Make sure to wipe up any spills of these substances right away. HEAT: Quartz and granite will perform similarly, but the main difference is that quartz can burn and granite will not. It is recommended to always use a heat pad or trivet for warm/hot items, electric frying pans, crock pots or roaster ovens. Quartz can be easily damaged by sudden and rapid changes in temperature. STRONG CHEMICALS: Strong chemicals should also be avoided with quartz countertops, as those chemicals can permanently damage the quartz. Products such as Trichlorethane or Methylene Chloride [paint removers or strippers] should never be used on your quartz countertops. Also, aggressive and abrasive cleaning agents that are used for glass cooktops, ovens, grills and specialized cleaners for stainless steel pots should never be used. SPILLS: Clean any spills immediately before they have a chance to dry.